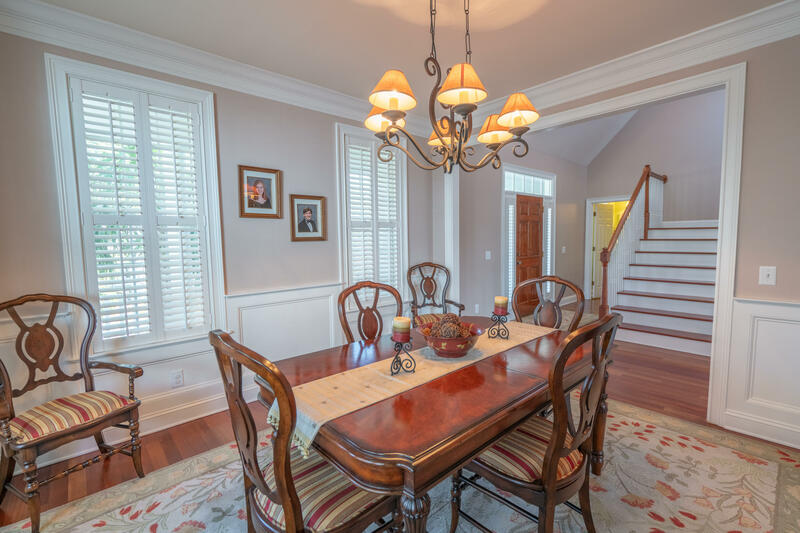 Welcome to this meticulously maintained custom built home on a pond in the quiet Tennyson neighborhood of Park West. 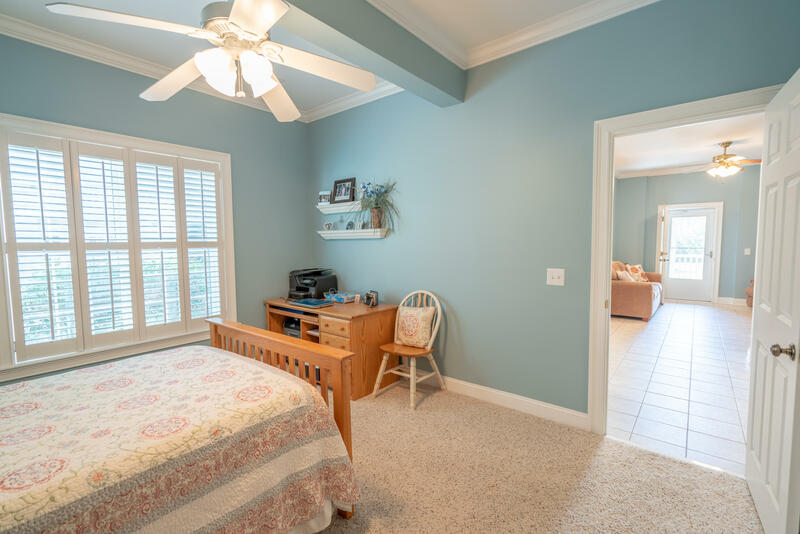 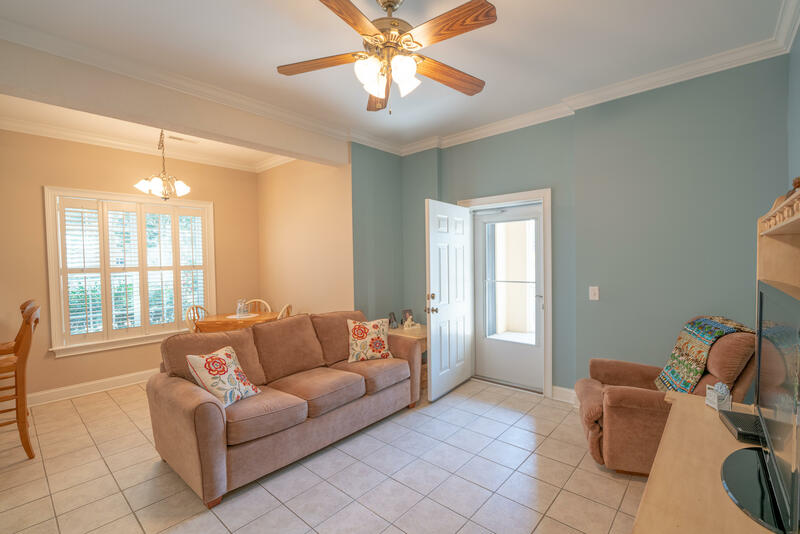 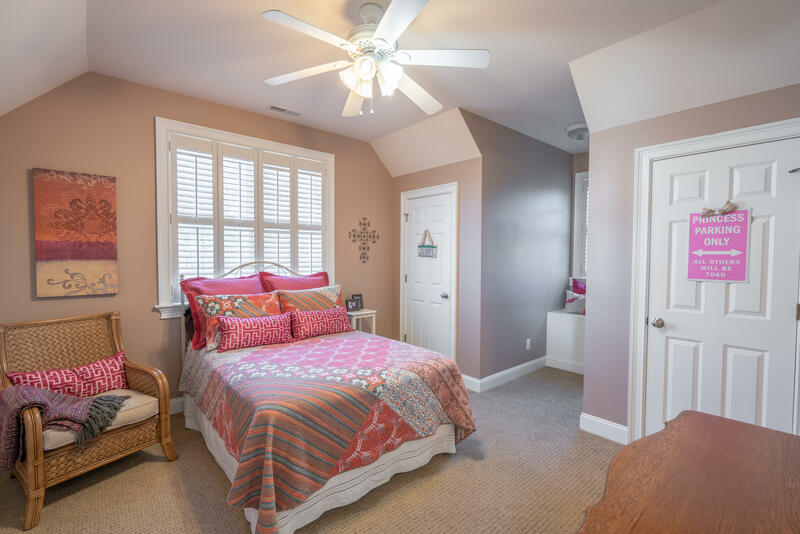 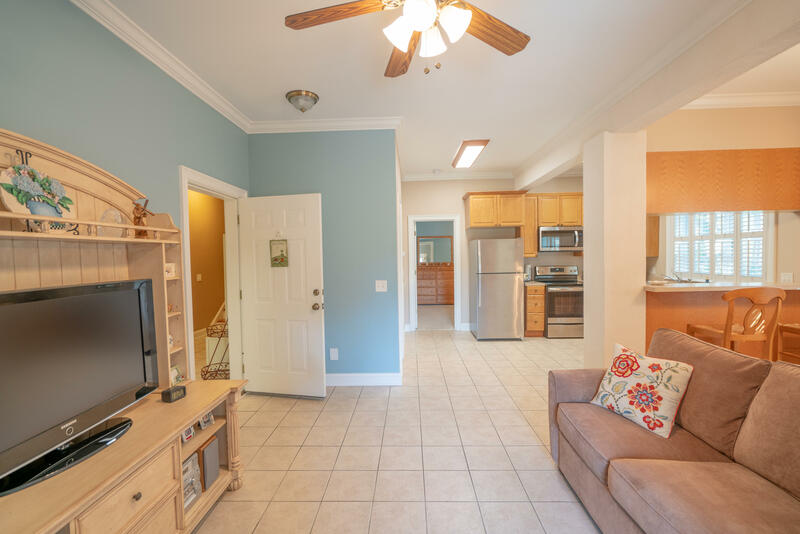 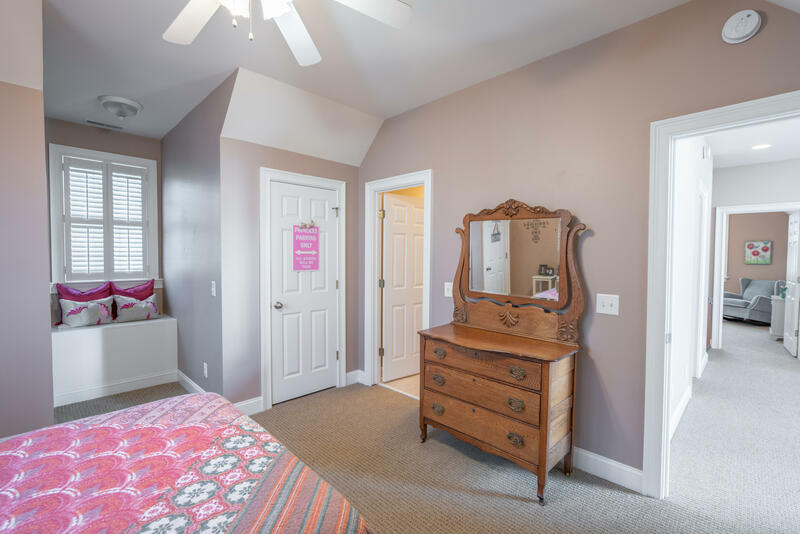 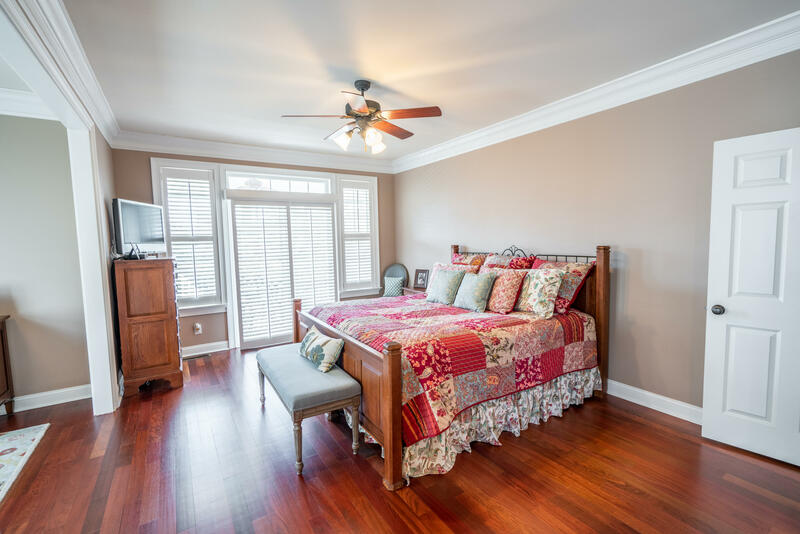 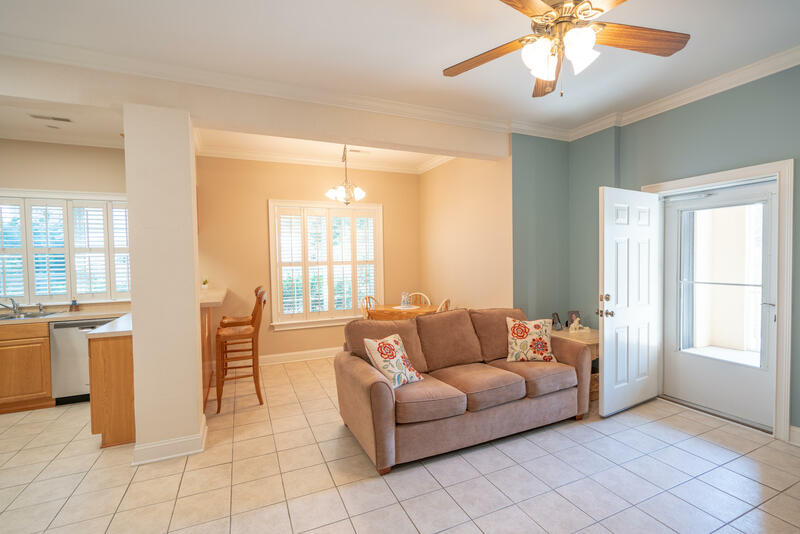 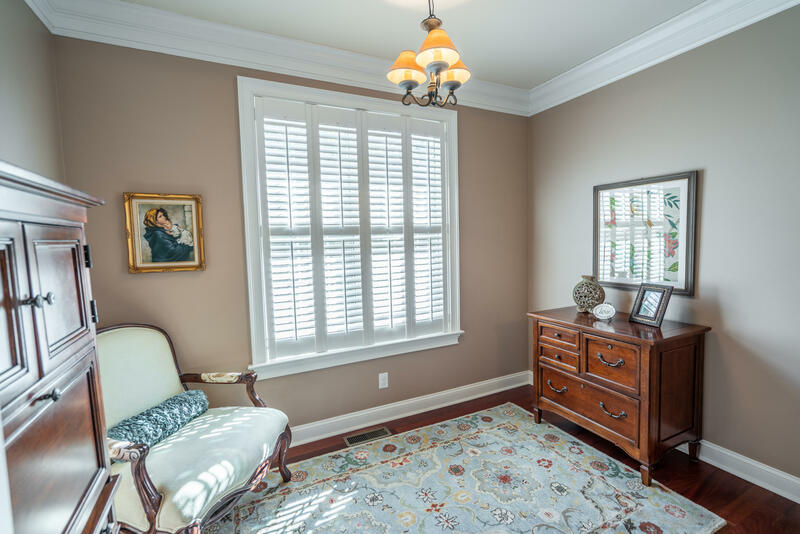 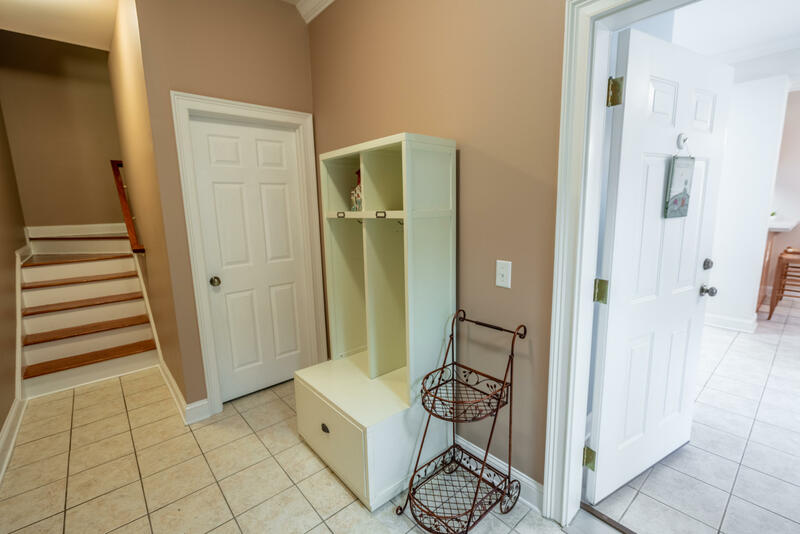 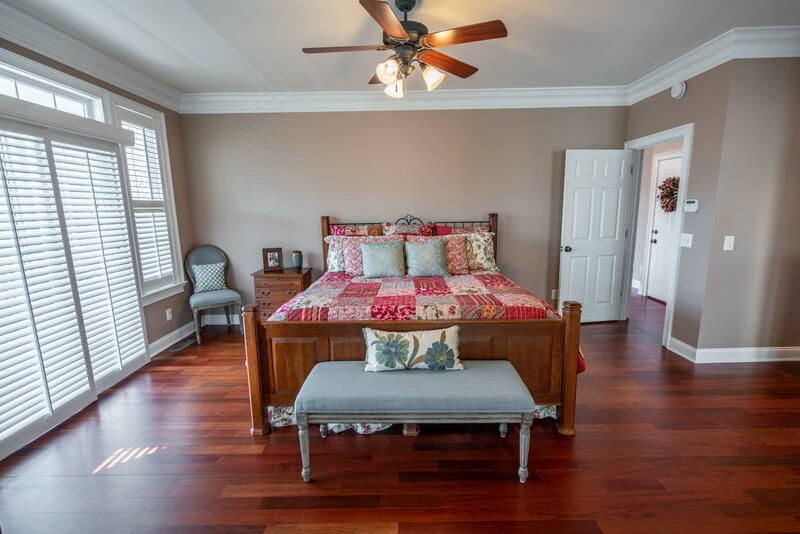 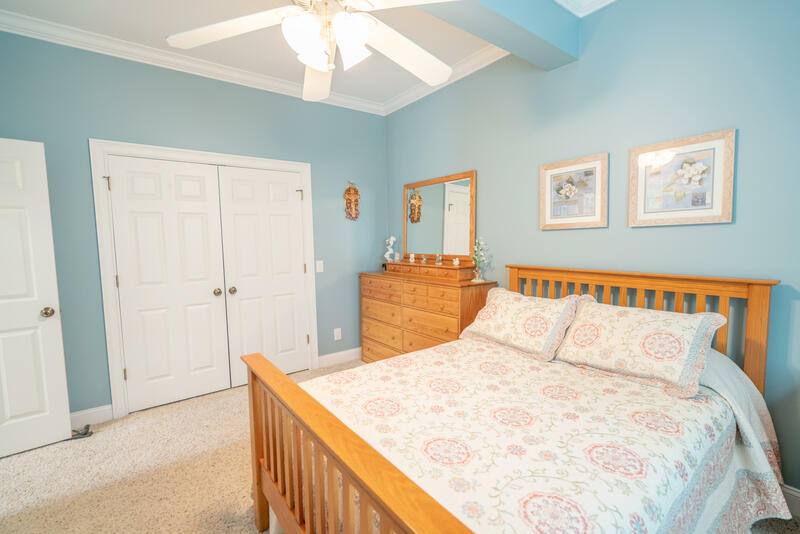 The ground floor has a private apartment/mother in law suite with its own separate entrance, kitchen with new stainless steel appliances, dining area, den, laundry room, spacious bedroom and full bath! 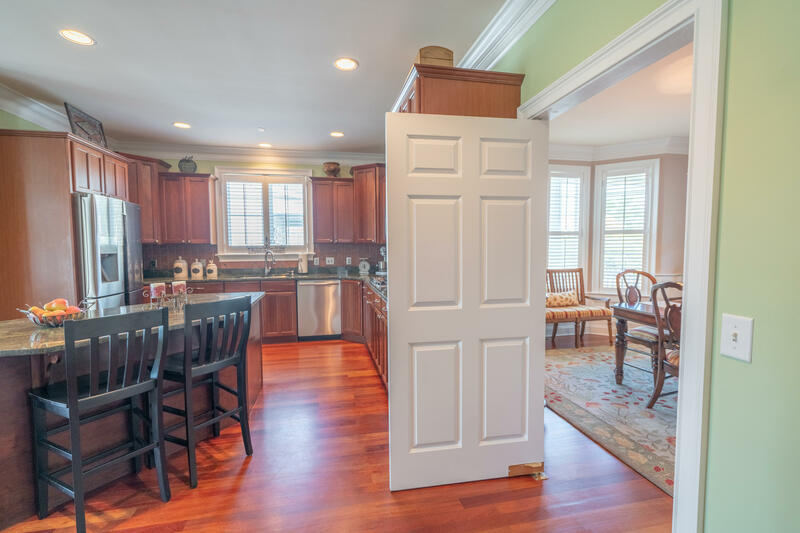 This area is insurable. 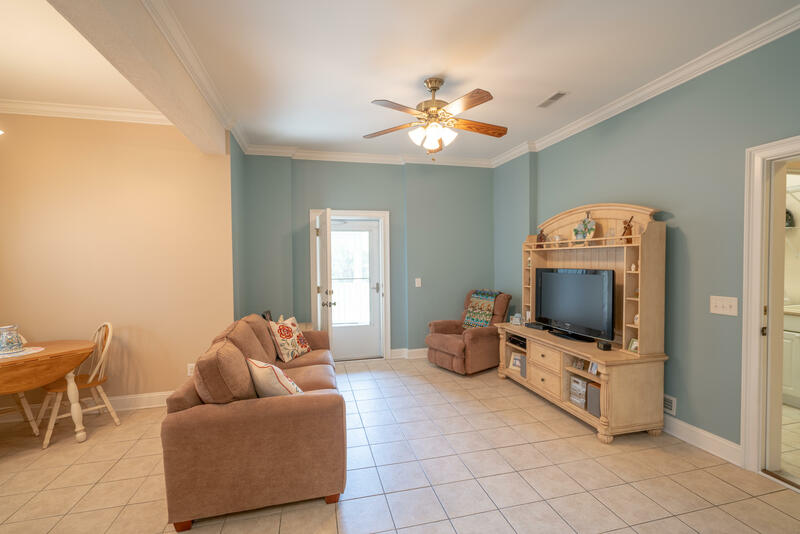 The beautifully landscaped yard offers plenty of palm trees and shrubs, plus a backyard that is plenty big enough to accommodate an in ground swimming pool. 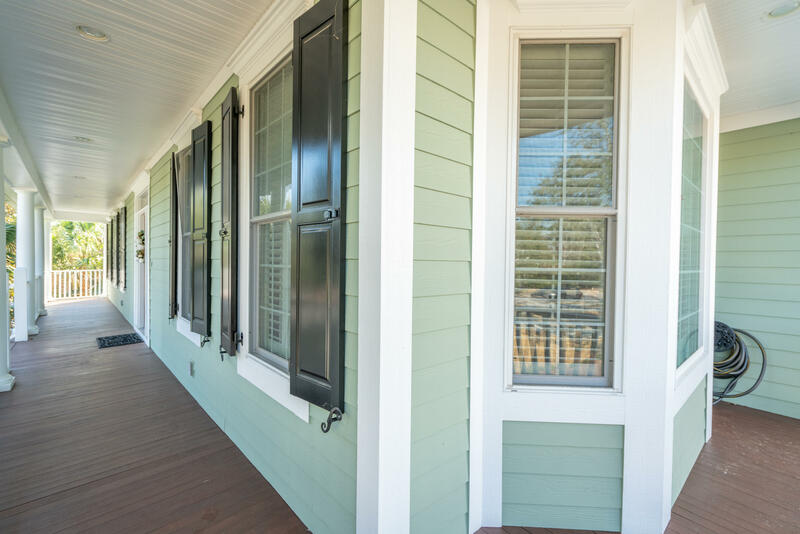 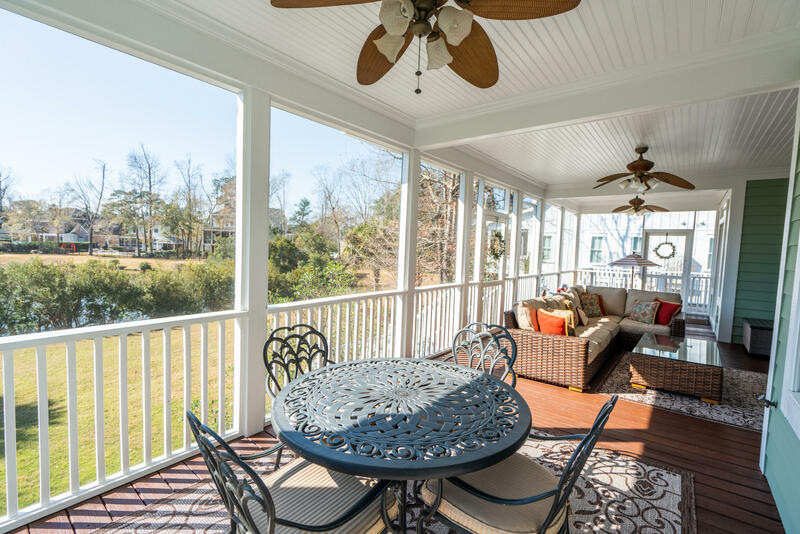 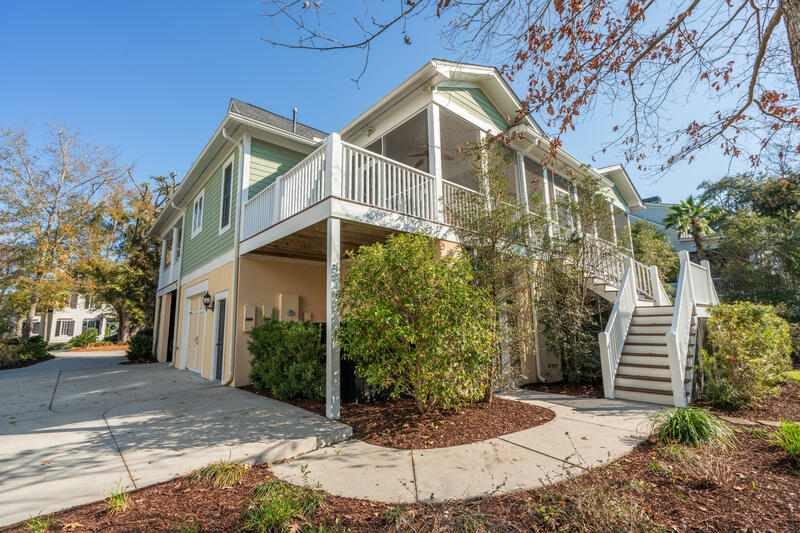 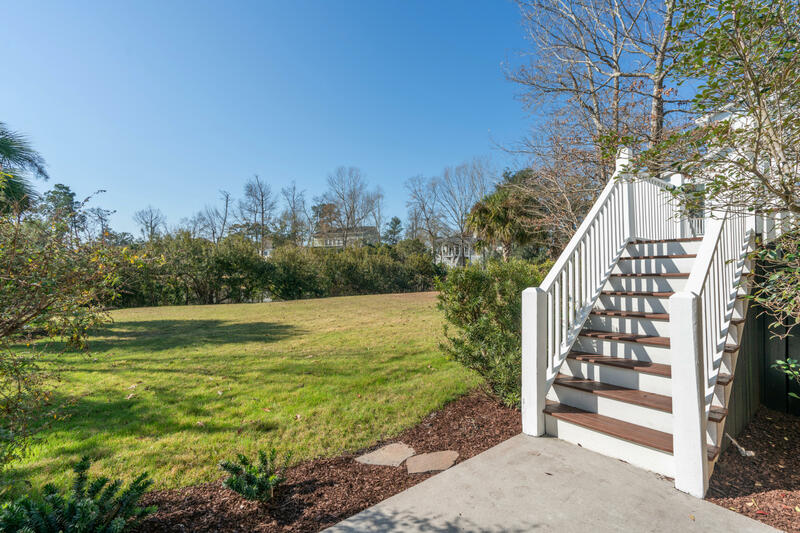 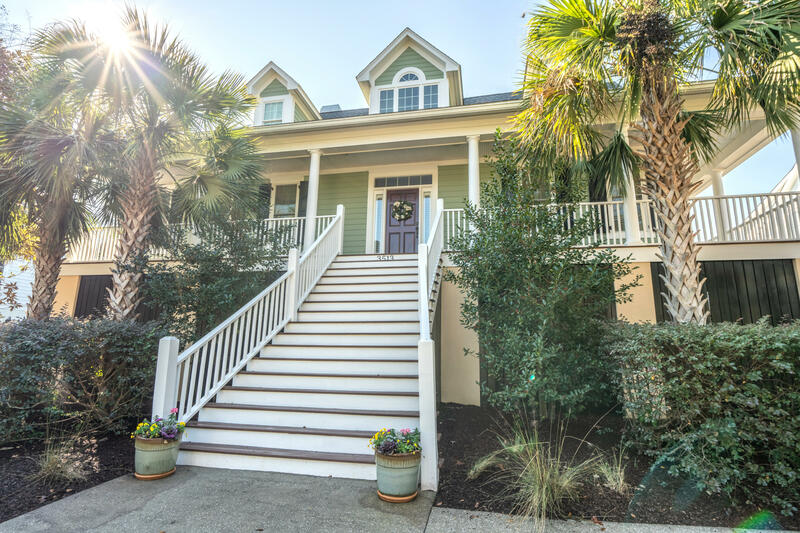 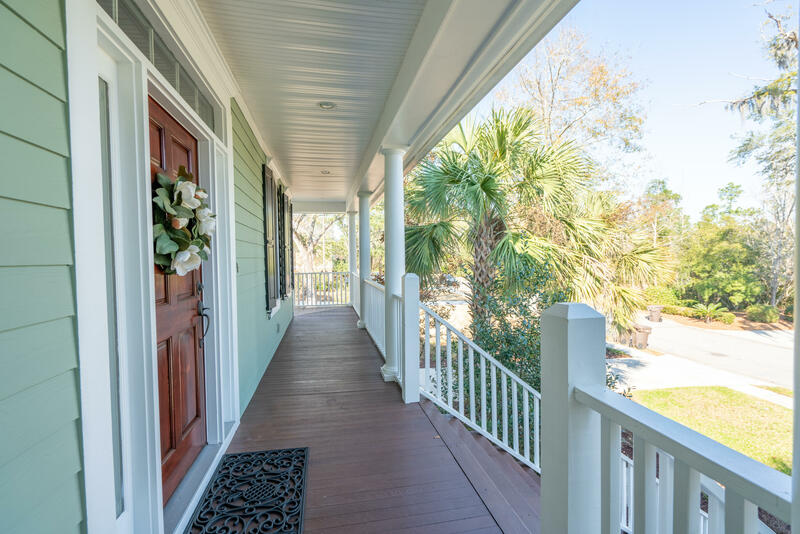 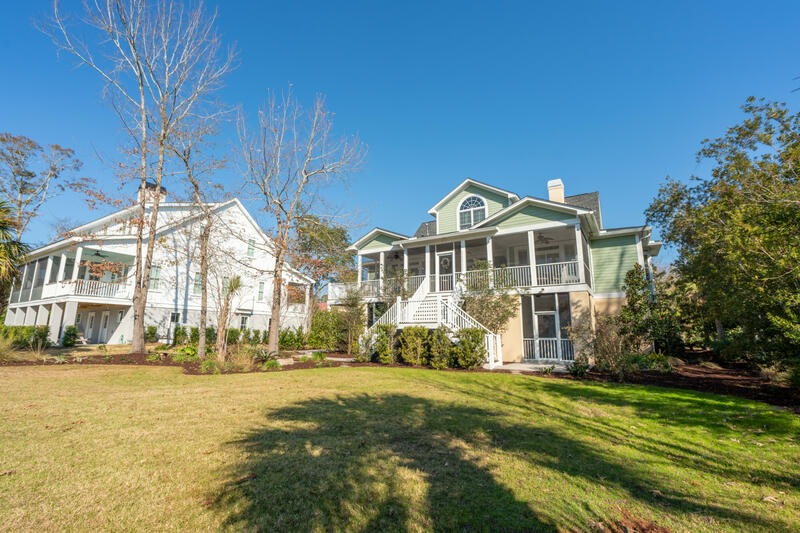 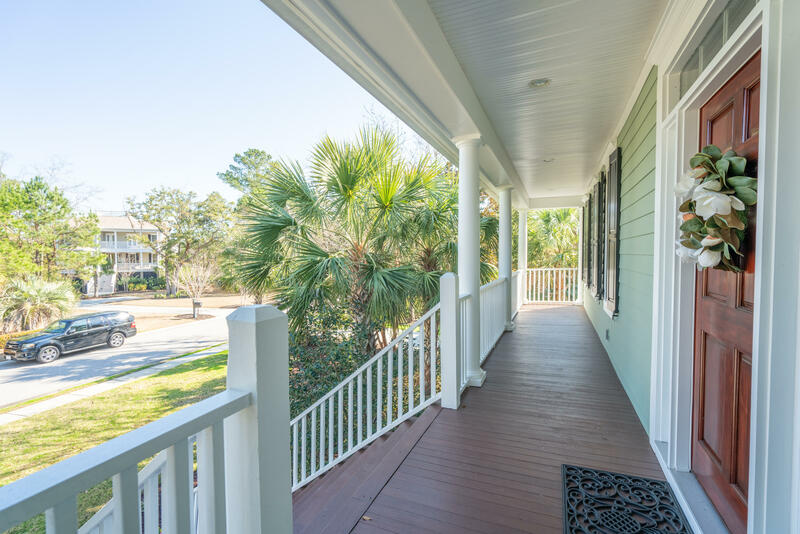 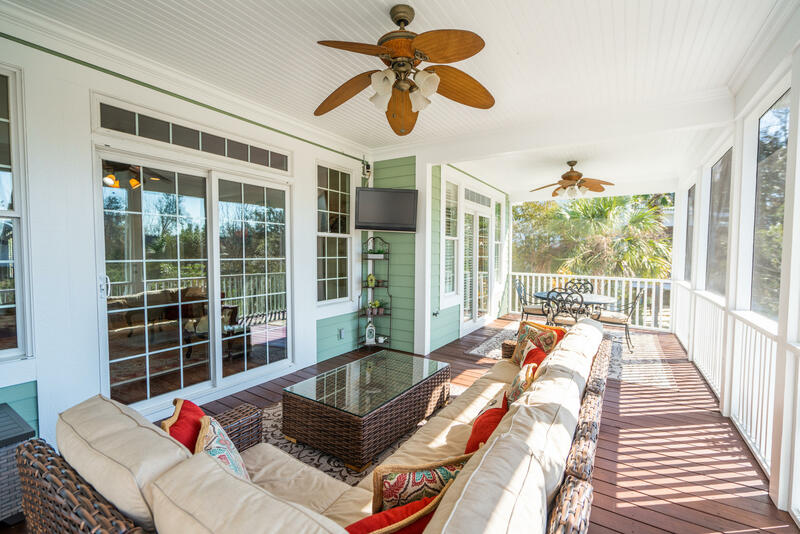 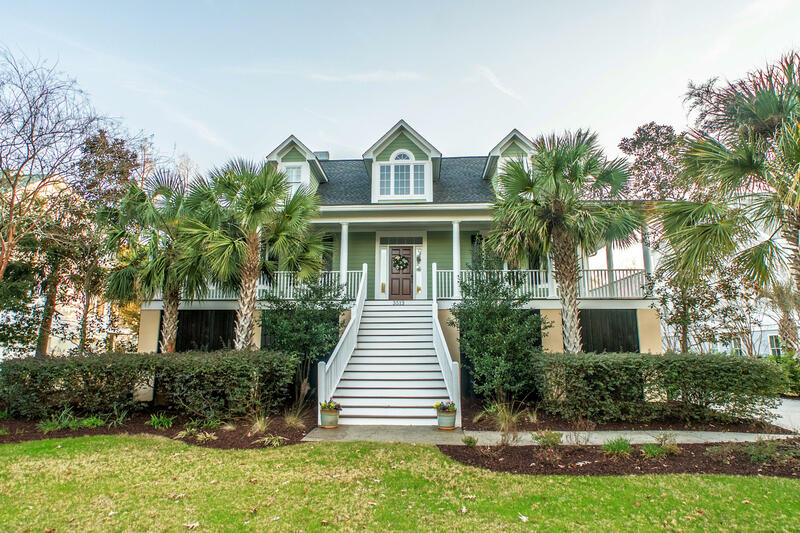 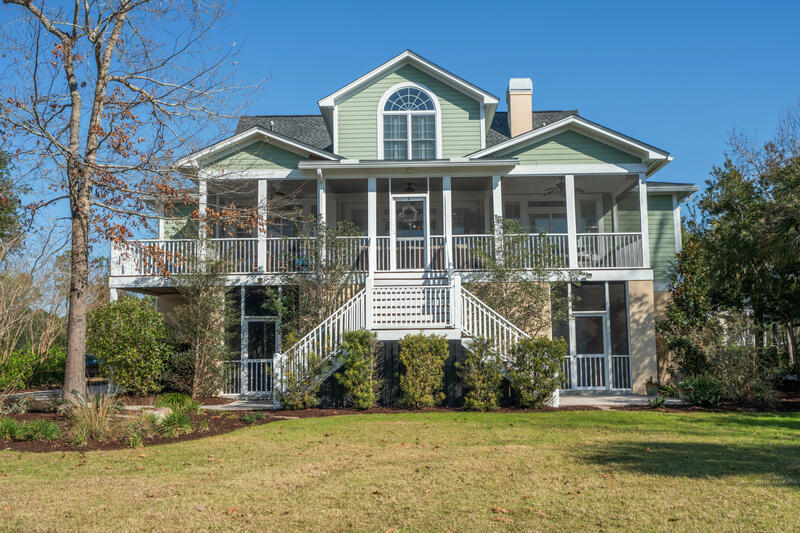 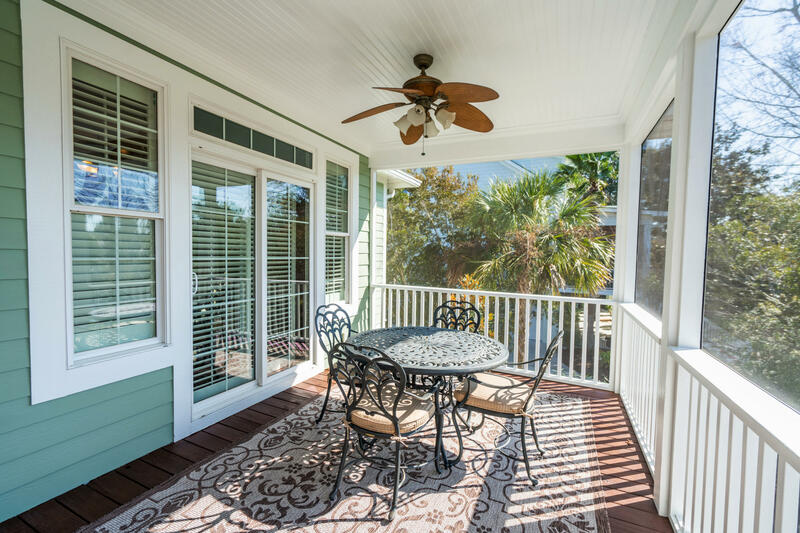 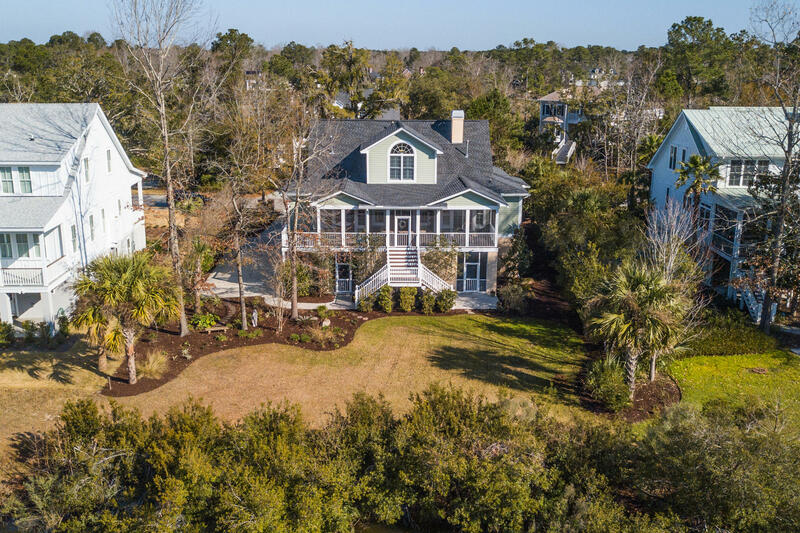 A Charleston style front porch welcomes you, and the back of the house boasts a huge screened in porch for enjoying year round. 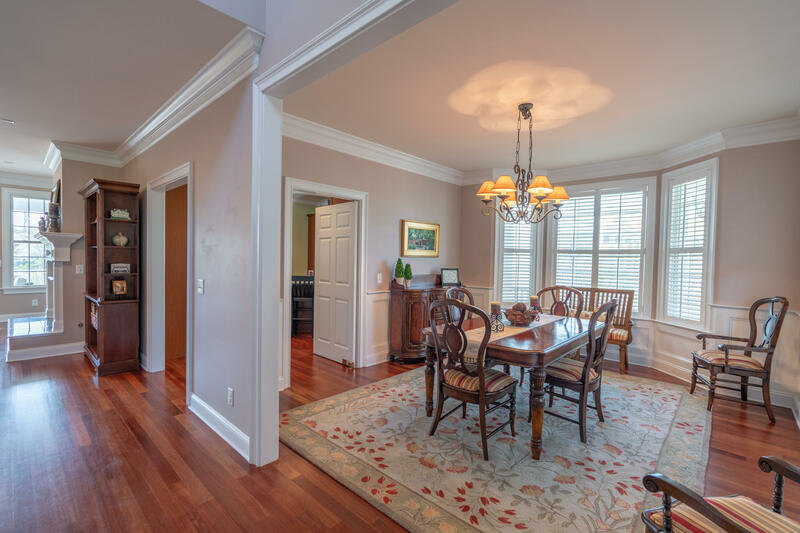 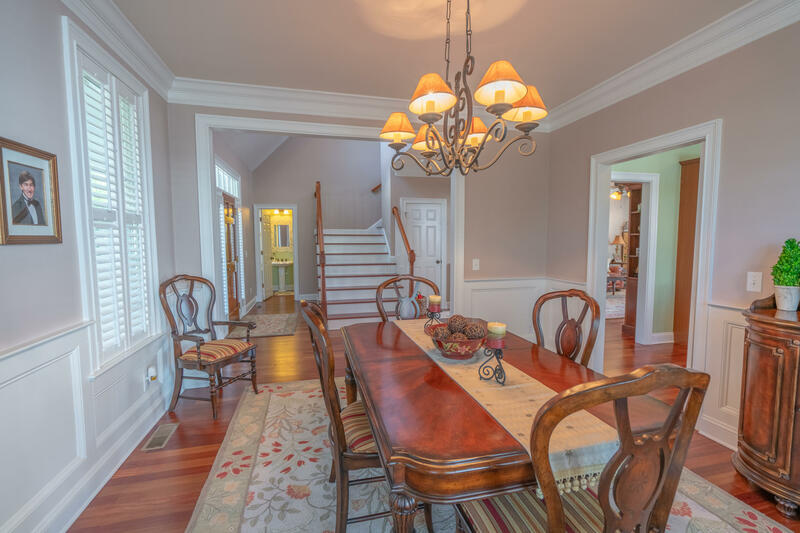 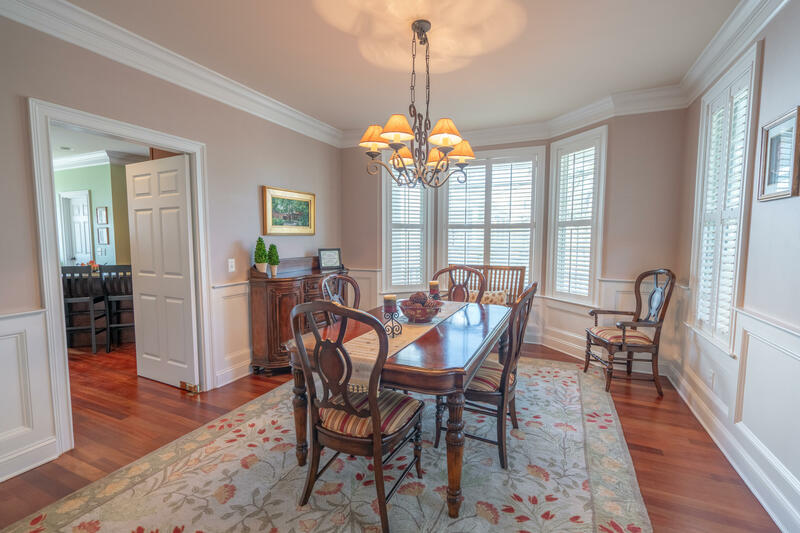 As you enter the foyer, to the right is a formal dining room with an entry to the amazing kitchen! 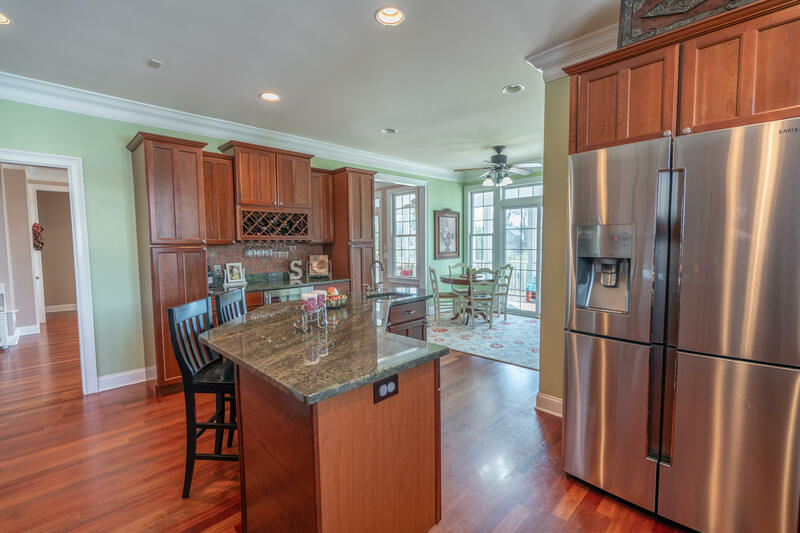 The kitchen has granite countertops and an island with seating. 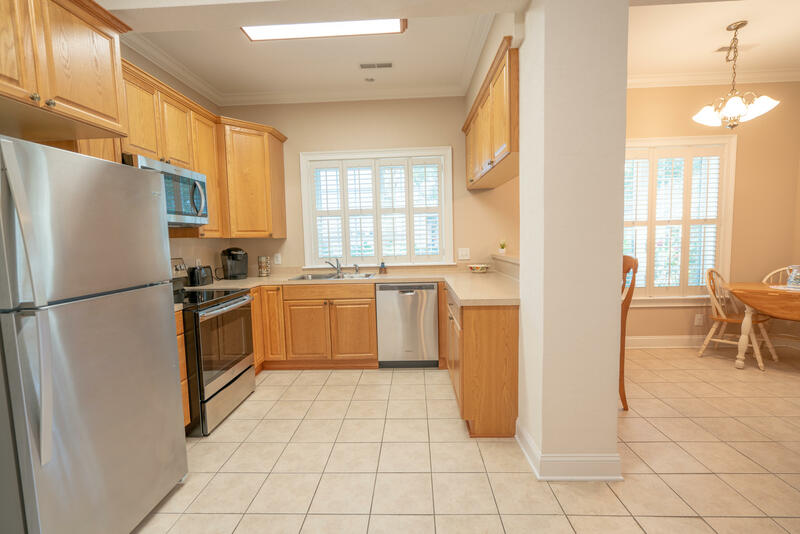 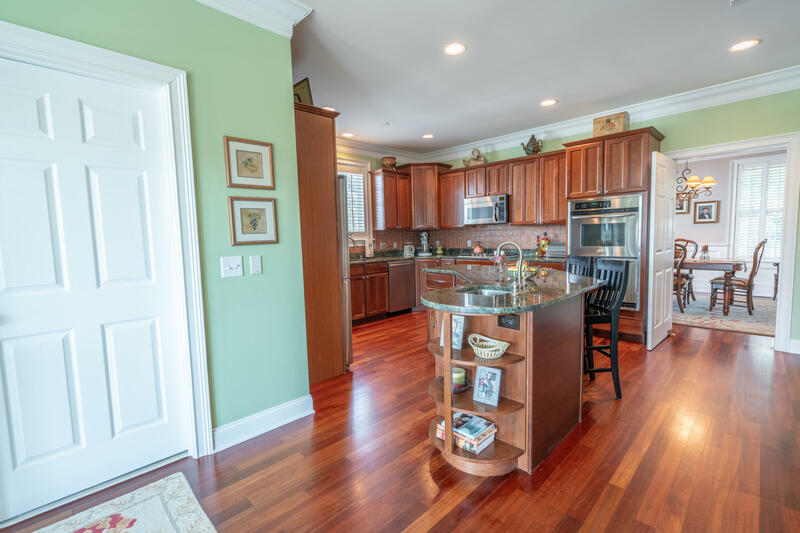 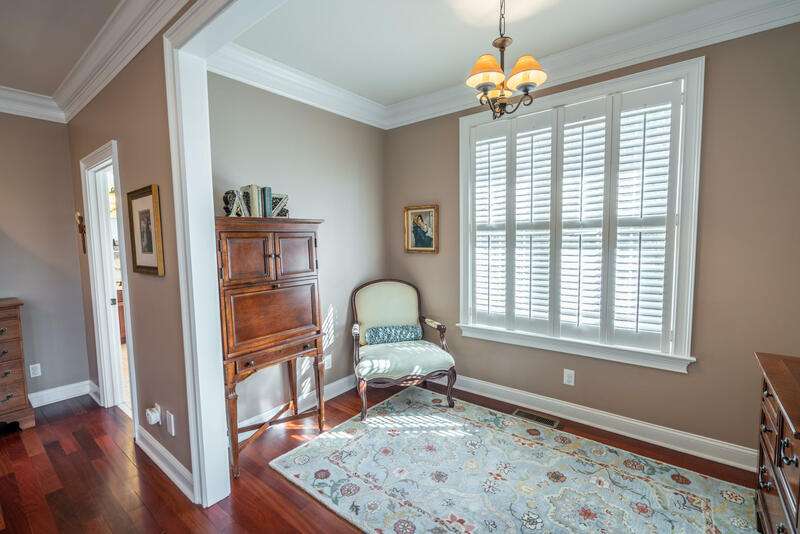 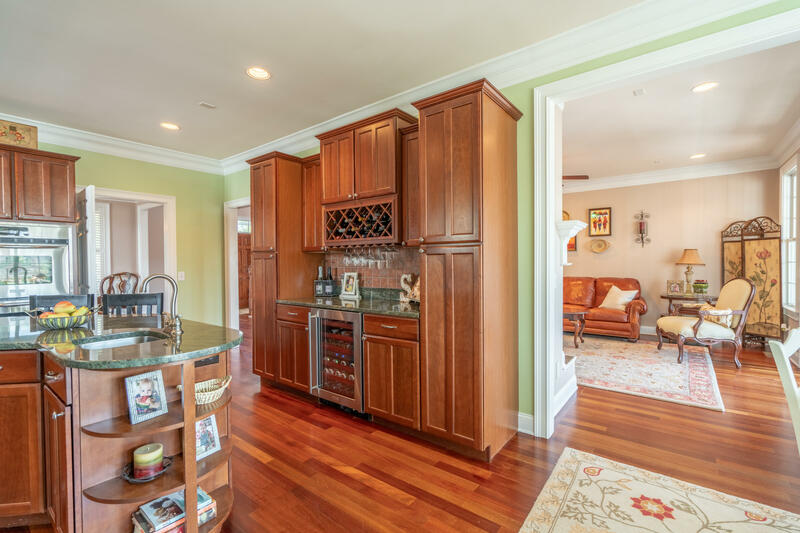 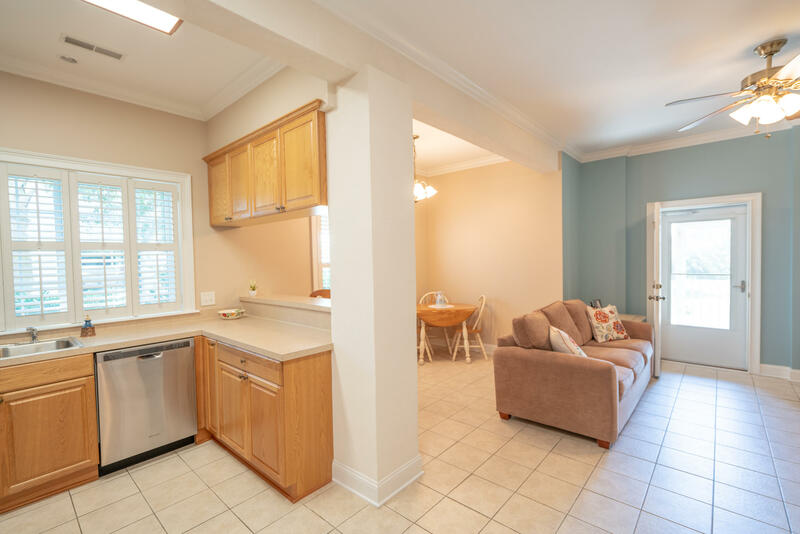 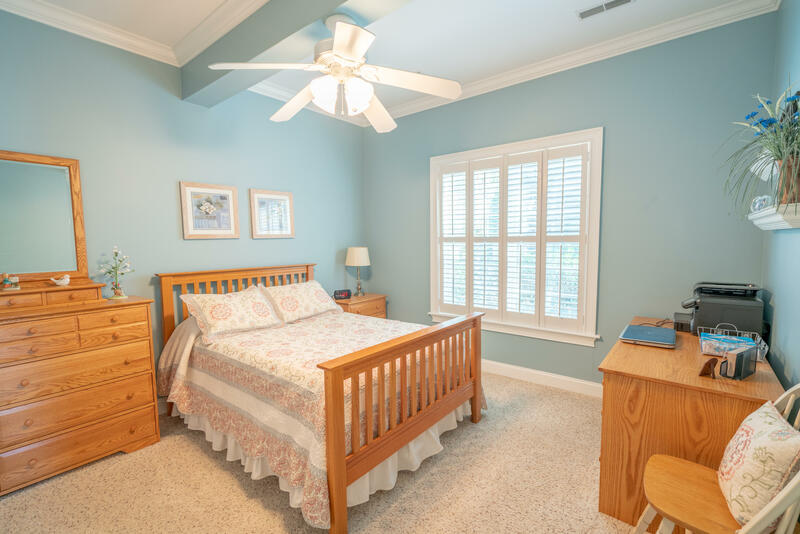 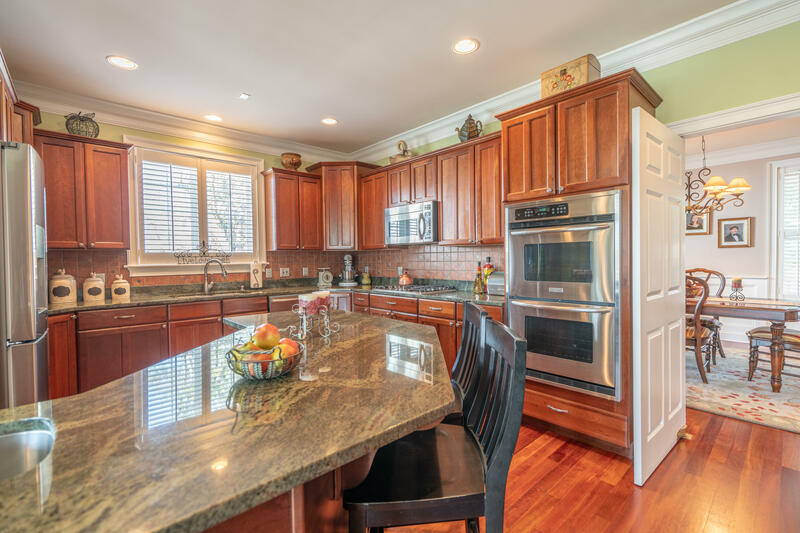 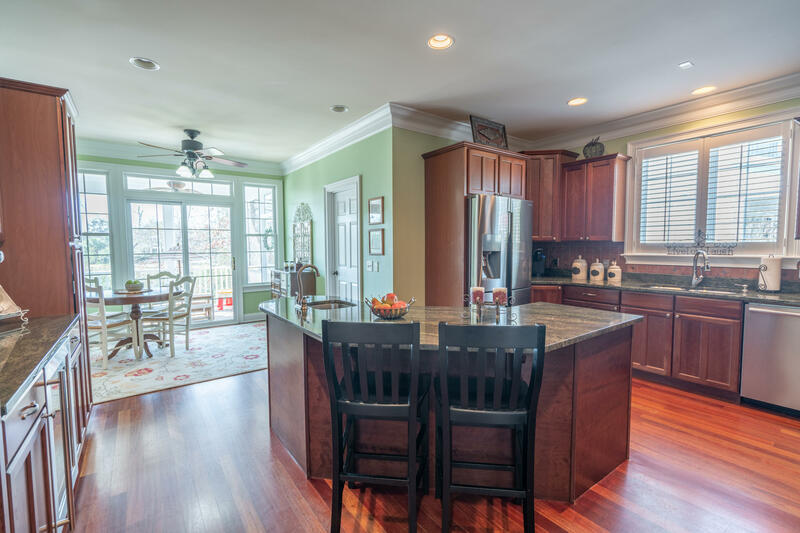 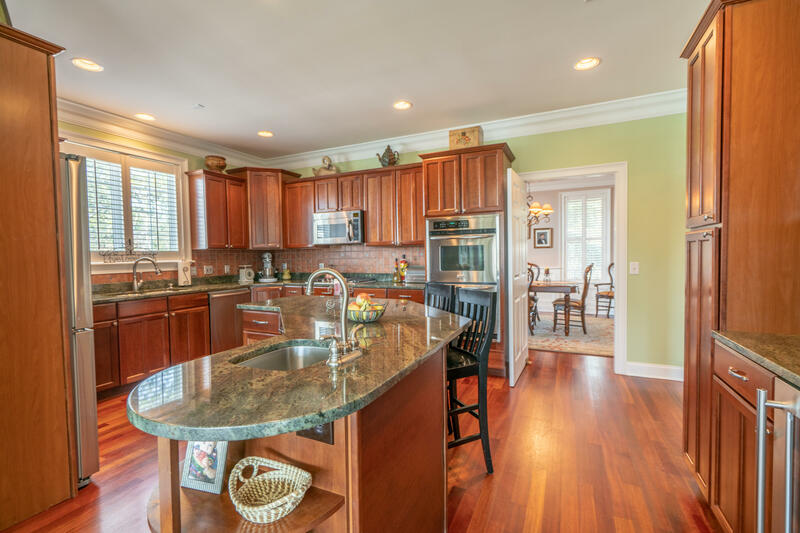 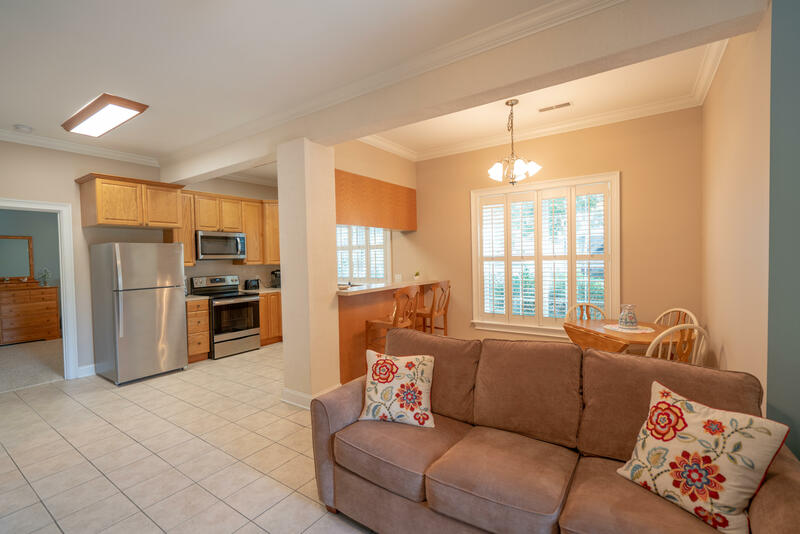 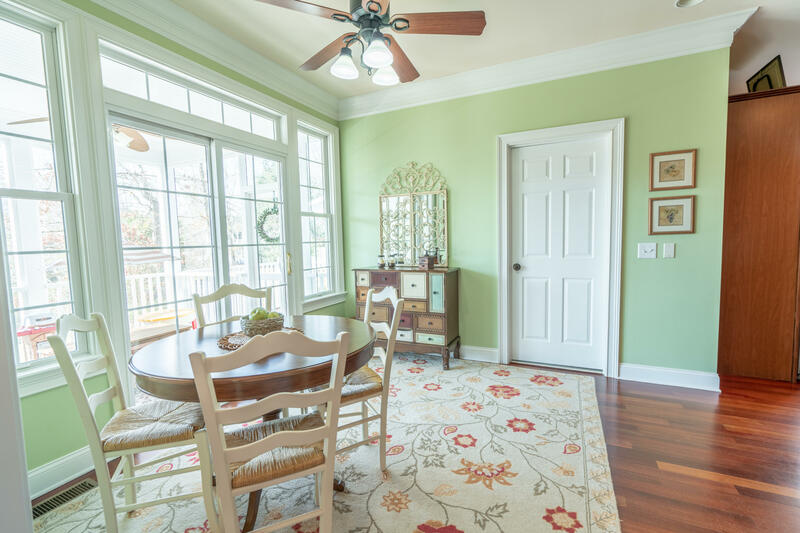 The kitchen also has custom cabinetry throughout, and the breakfast area is situated so you can enjoy the views of screened porch, backyard and pond. 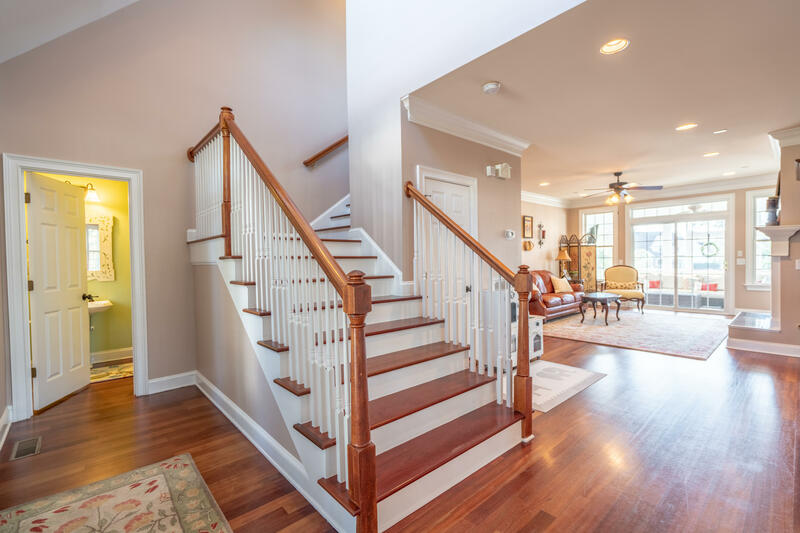 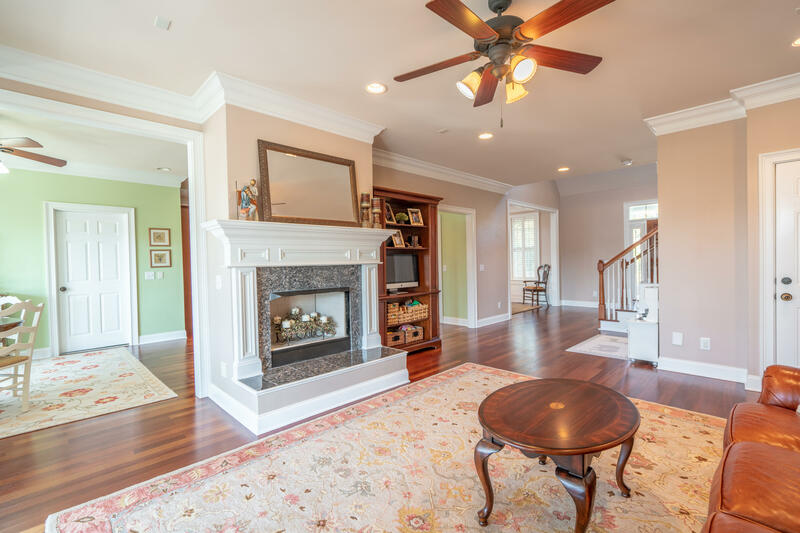 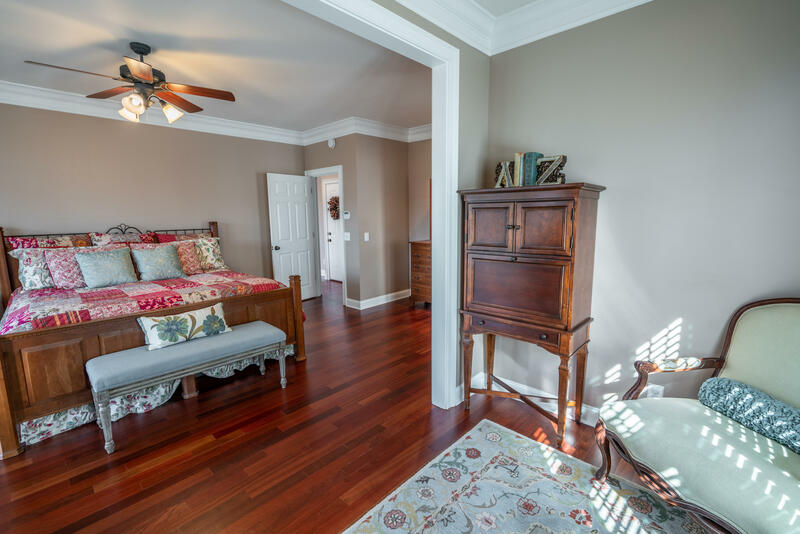 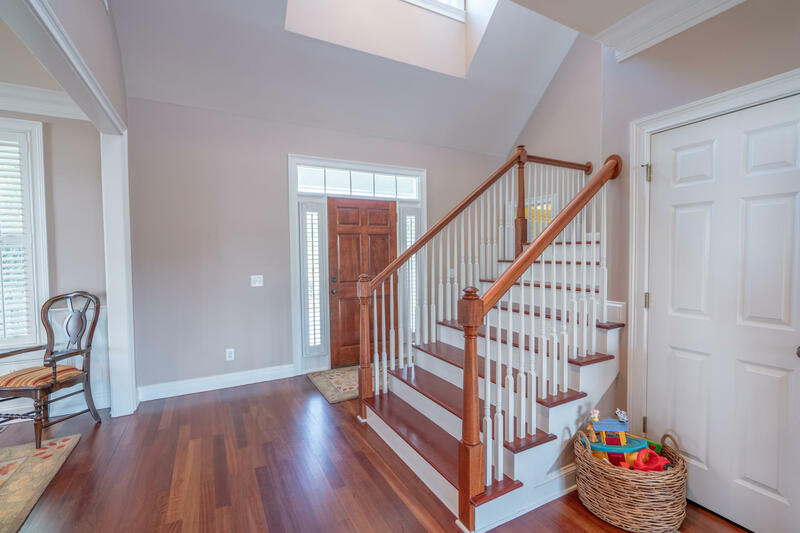 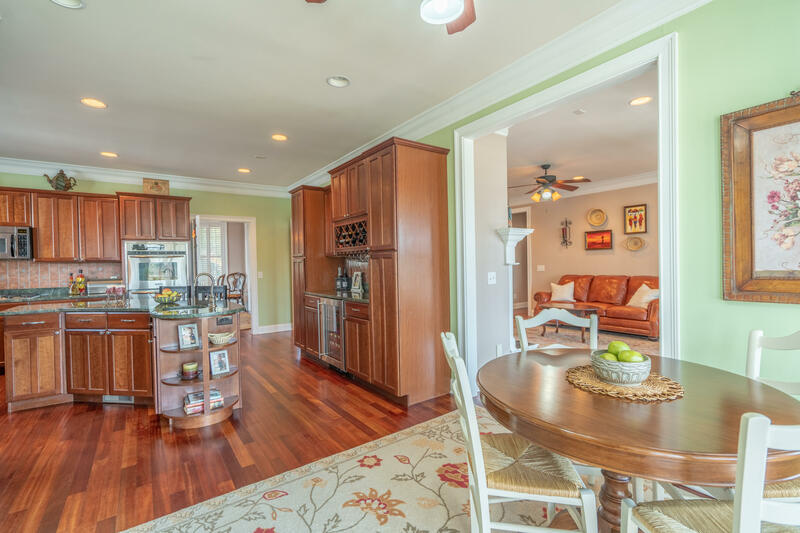 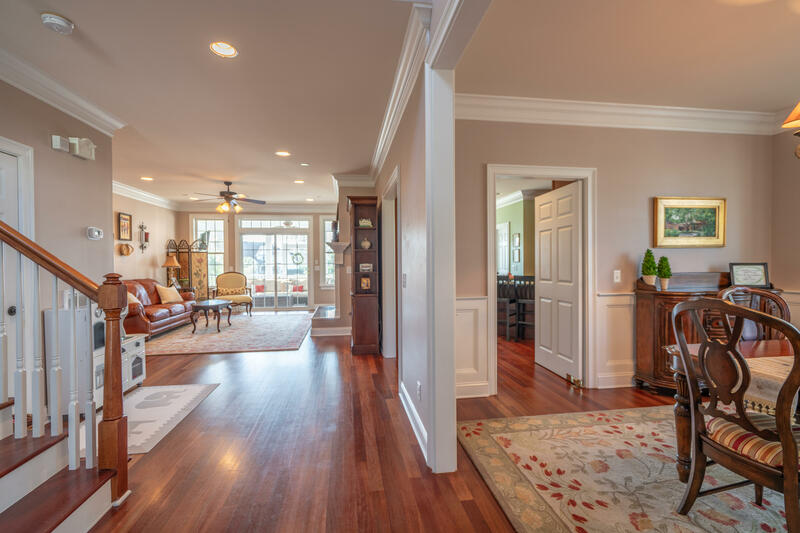 The great room, foyer, kitchen and master all have Brazilian cherry floors that are stunning. 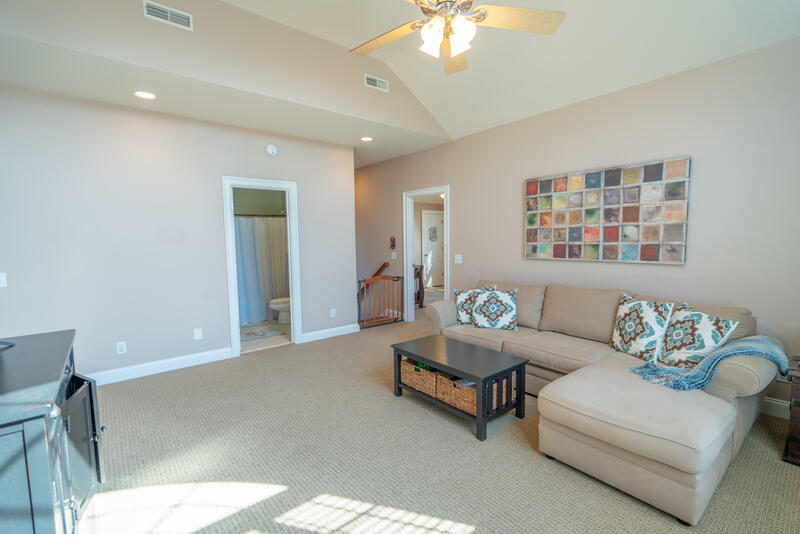 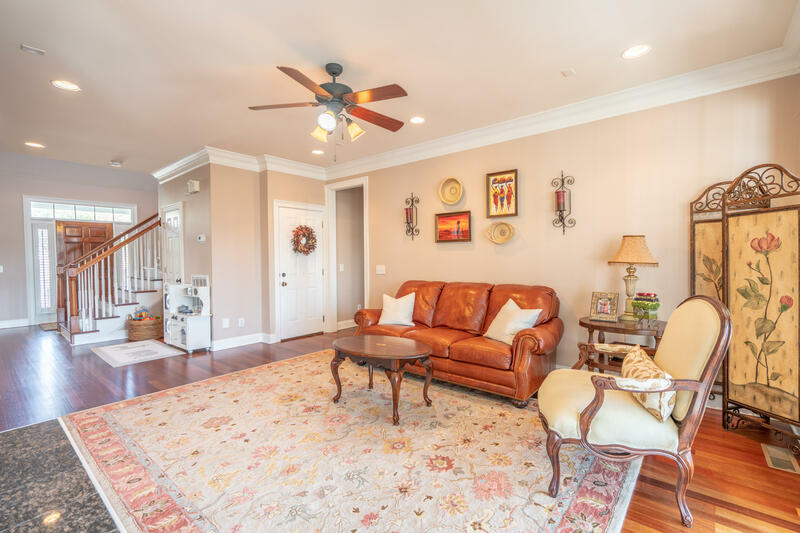 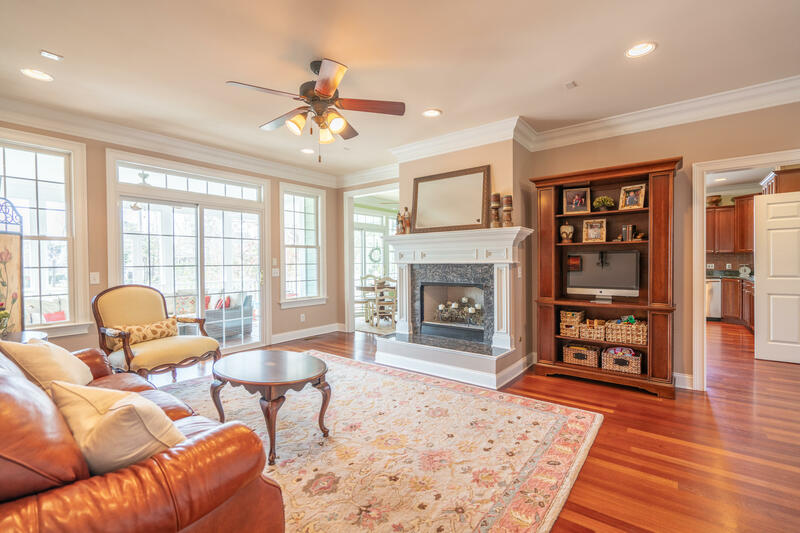 The great room has lots of amazing natural light, a gas fireplace and also looks out to the screened porch and backyard. 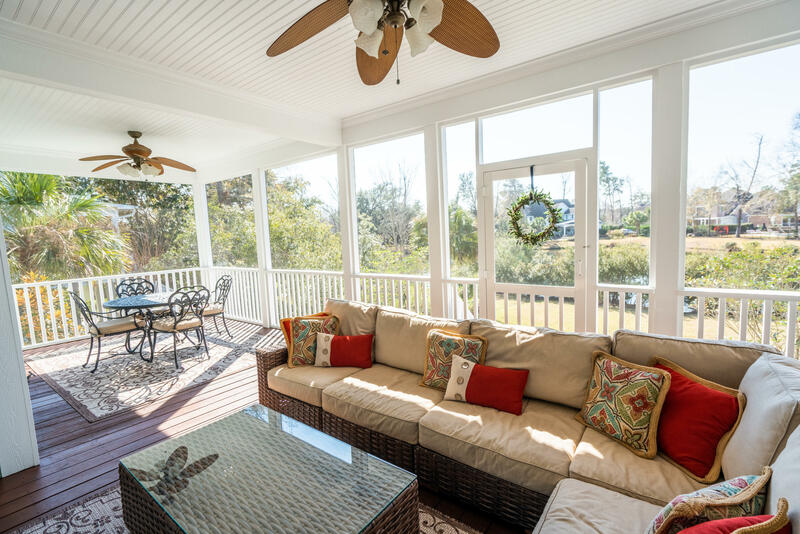 The owners retreat is off of the great room with plenty of windows to enjoy the views. 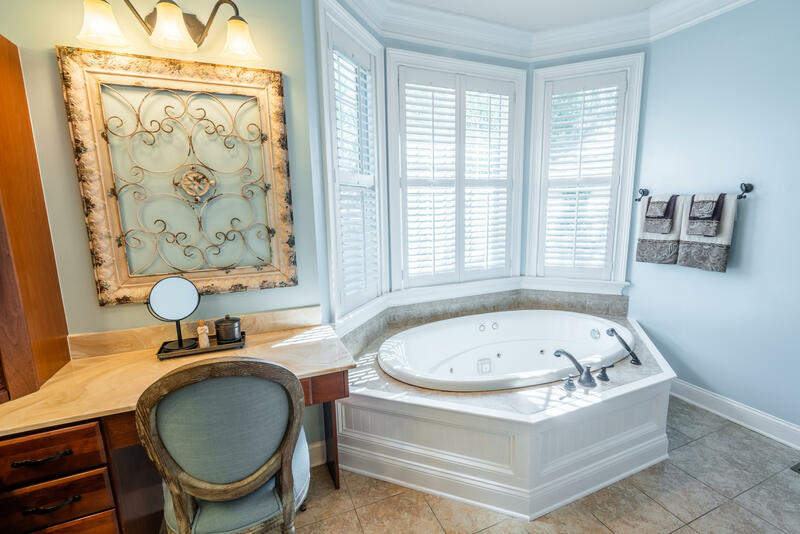 The suite and has a sitting area, spacious bathroom with double vanities, tiled flooring, jacuzzi bath tub and plenty of walk in closet space. 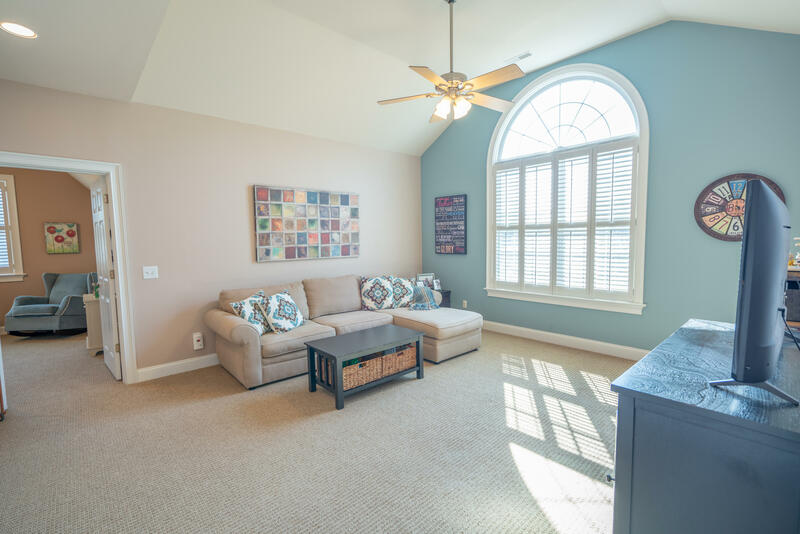 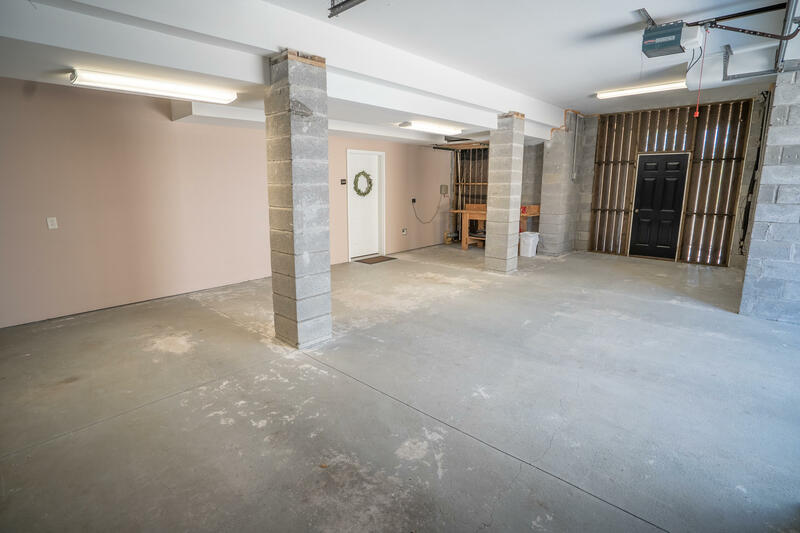 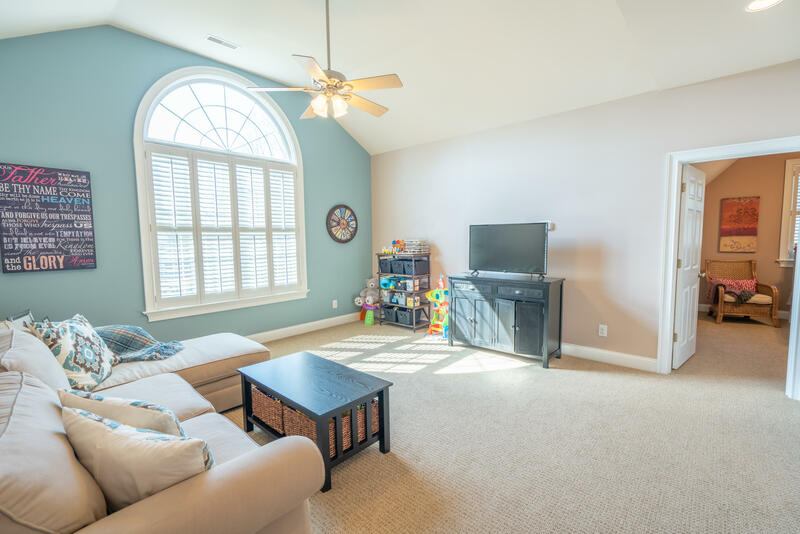 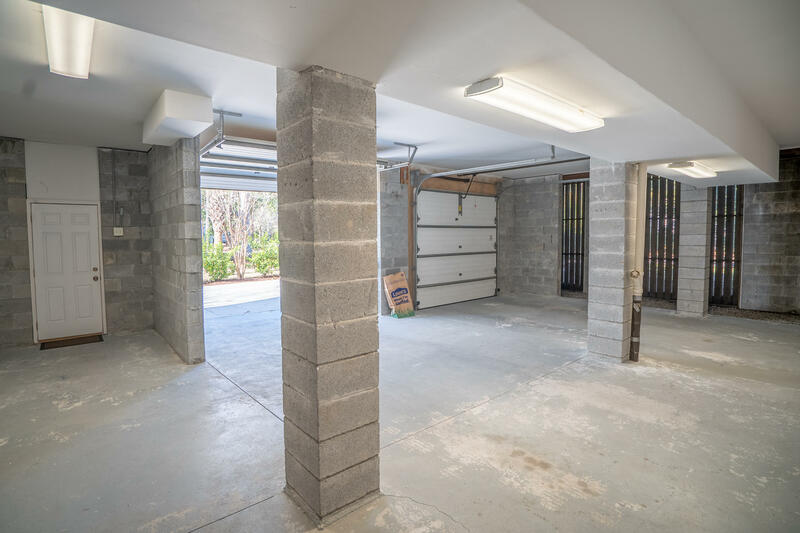 The 2nd floor has another living space/great room perfect for a playroom, teen hang out or media room. 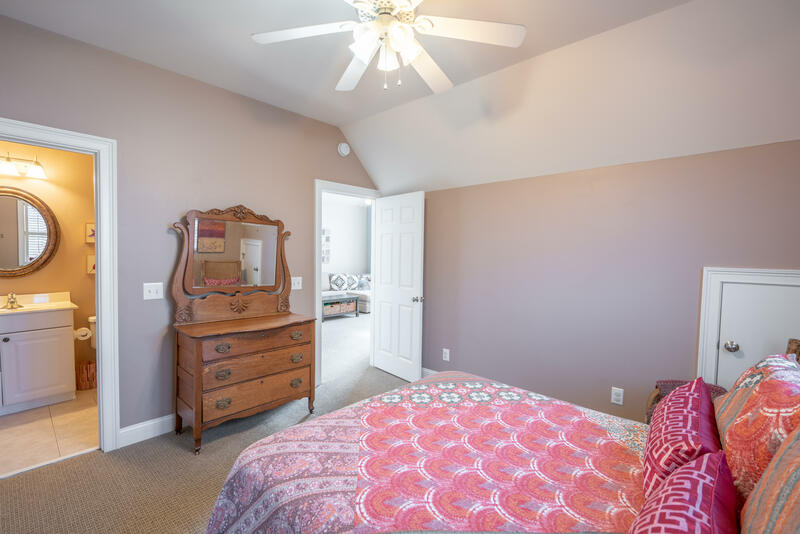 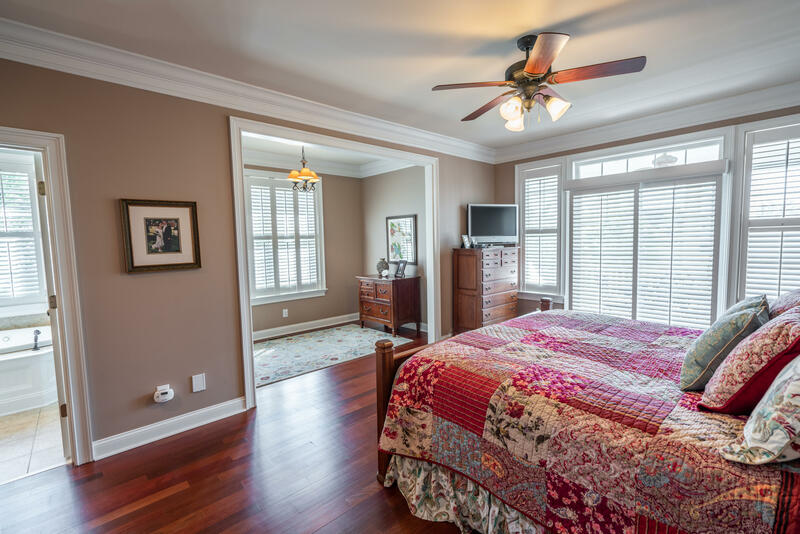 There are 2 large bedrooms and 2 full bathrooms. 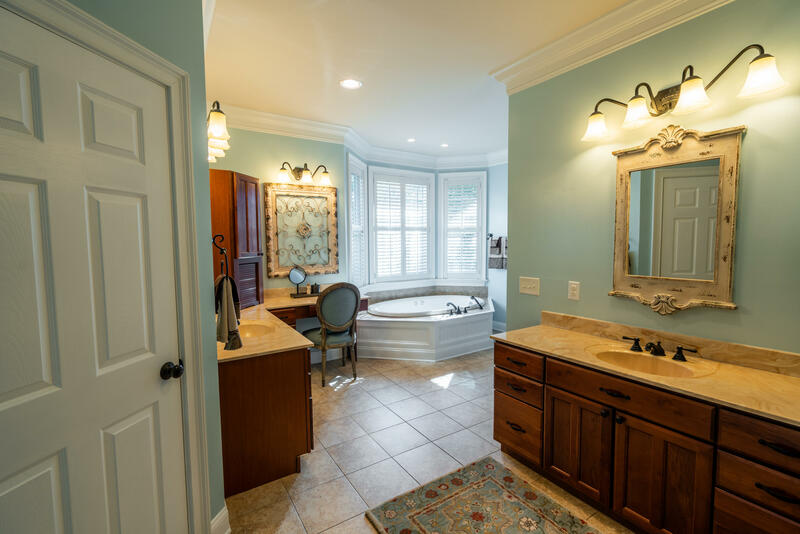 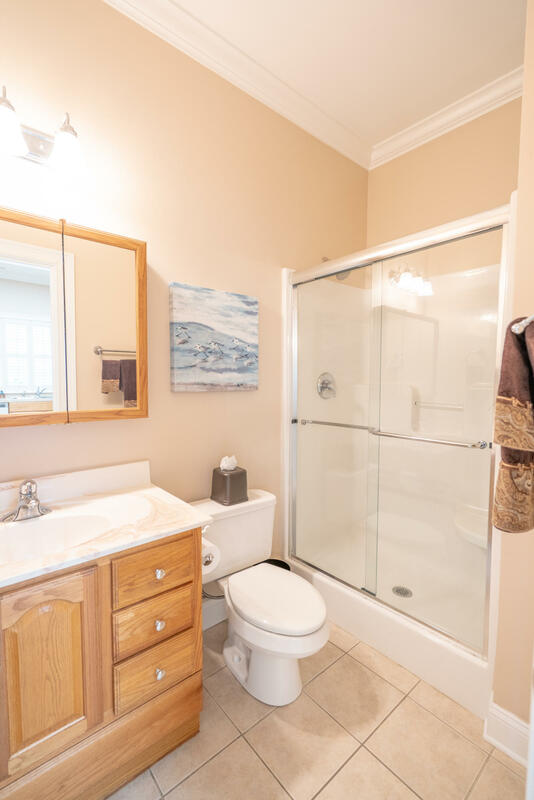 One bathroom is off the living area - the other is a full ensuite bath! 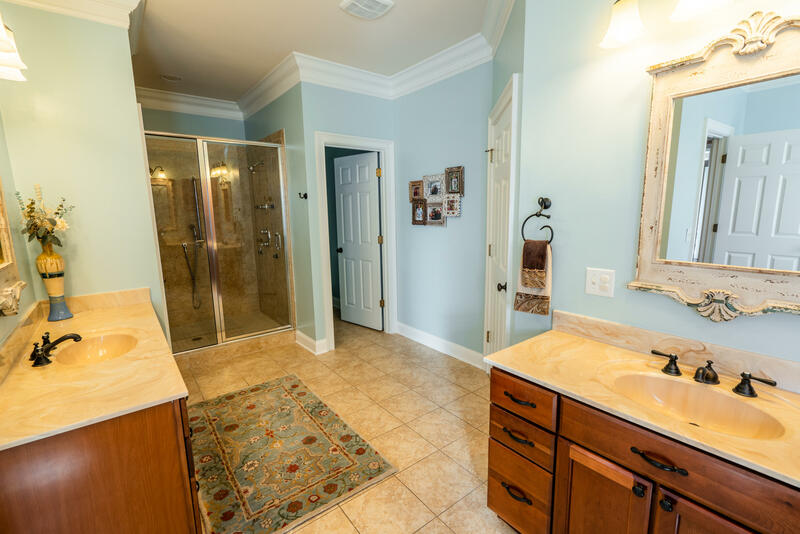 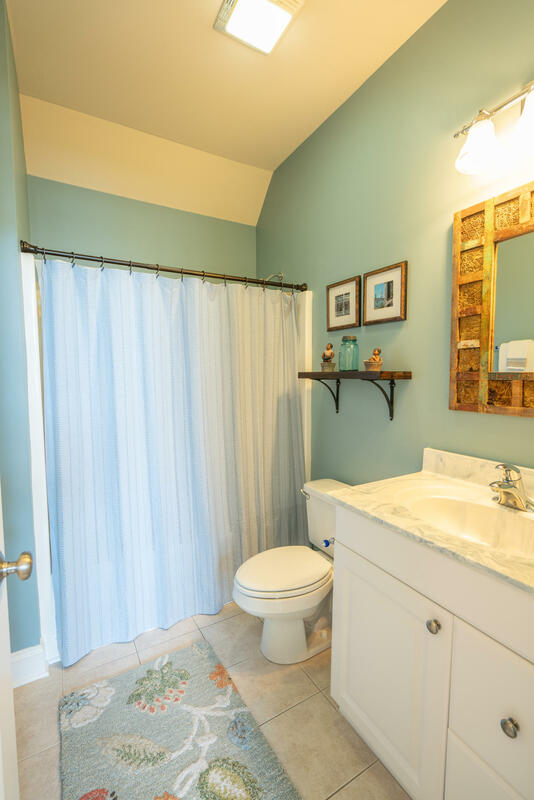 The upstairs walk-in laundry room has tiled floors, sink and cabinets. 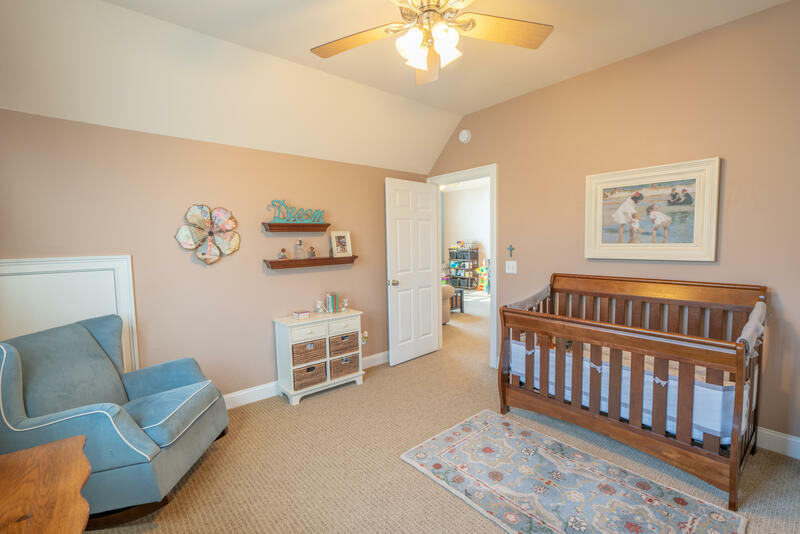 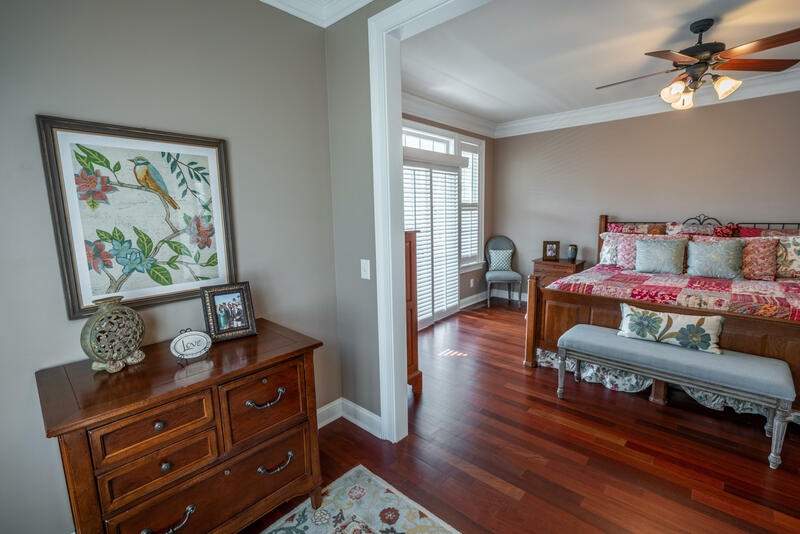 Tennyson homeowners have their own park where you will find playground swings, slides, a quiet walking path along Toomer Creek, tables and BBQ stands to stage a party! 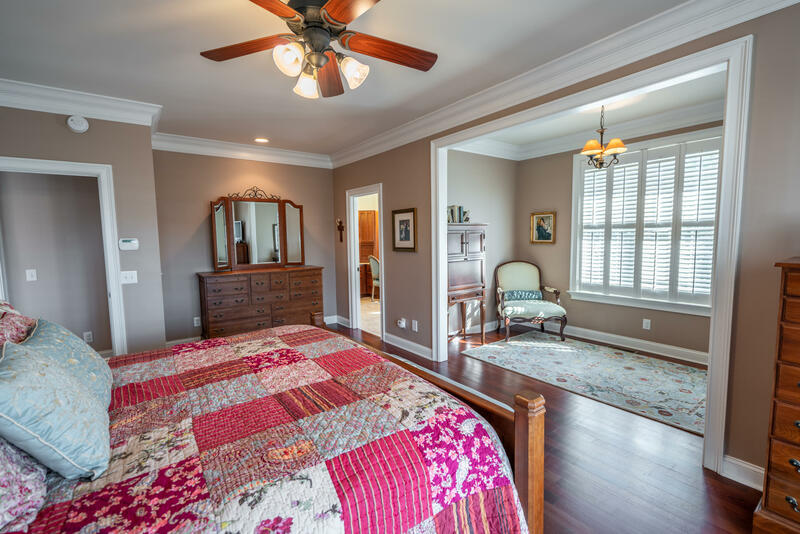 Also, you get the Park West amenities that include miles of walk-ways, the Park West Swim and Tennis Club complex with pool and tennis courts, playground, clubhouse and outdoor kitchen.